Your supply chain is only as strong as its weakest link. And if that link breaks, the resulting business disruption can cause catastrophic losses to your operations. 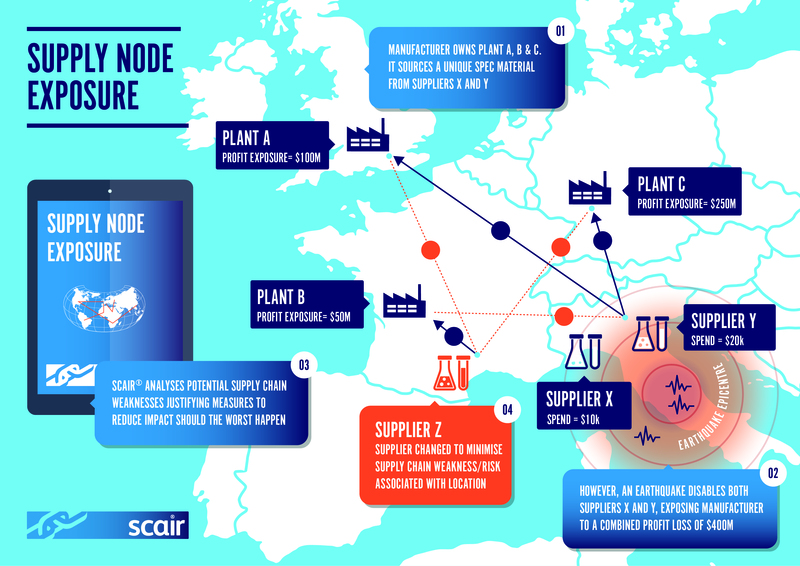 SCAIR® identifies those weak links, so you can strengthen your supply chain and keep turning bigger profits. Anticipate supply chain disruption. Analyse financial risk. 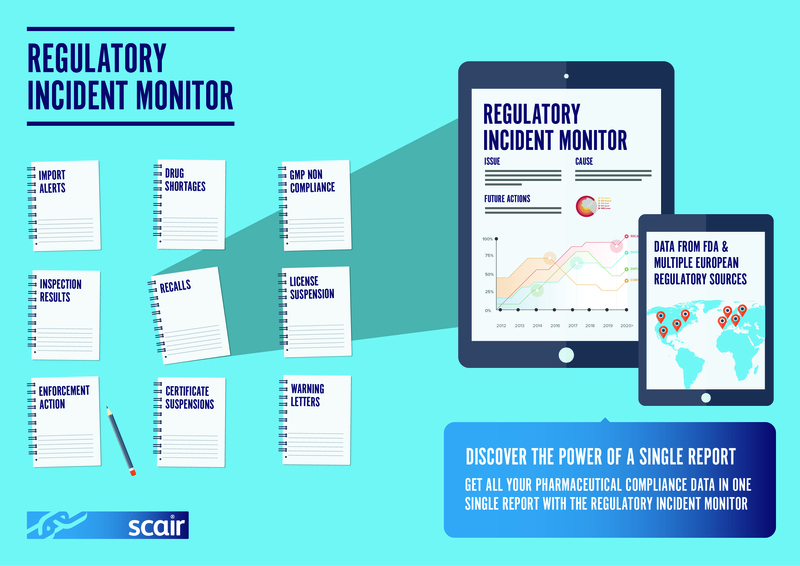 SCAIR’s brand new module Regulatory Incident Monitor, gives a detailed history of any pharma company’s supply chain compliance history. Get details on product recalls, inspection alerts, drug shortages and more. 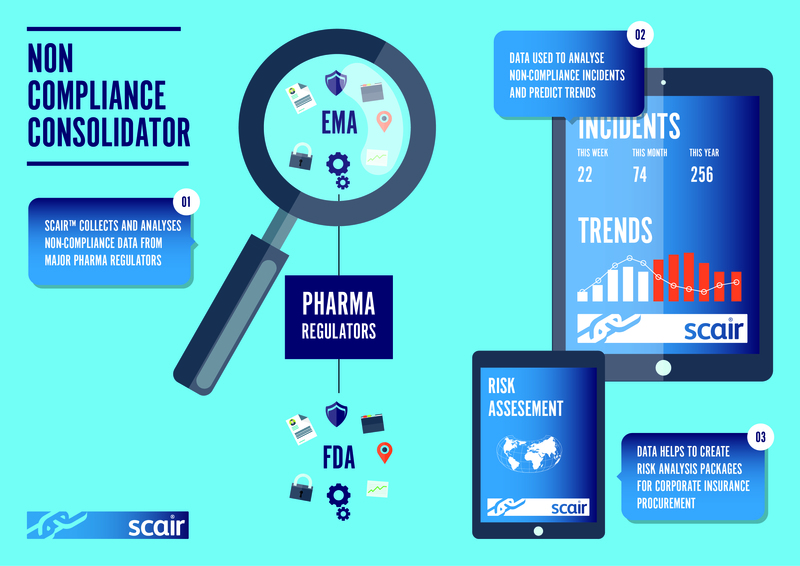 Here you’ll find data from FDA, Health Canada, MHRA, EDQM & EMA, all in one place. 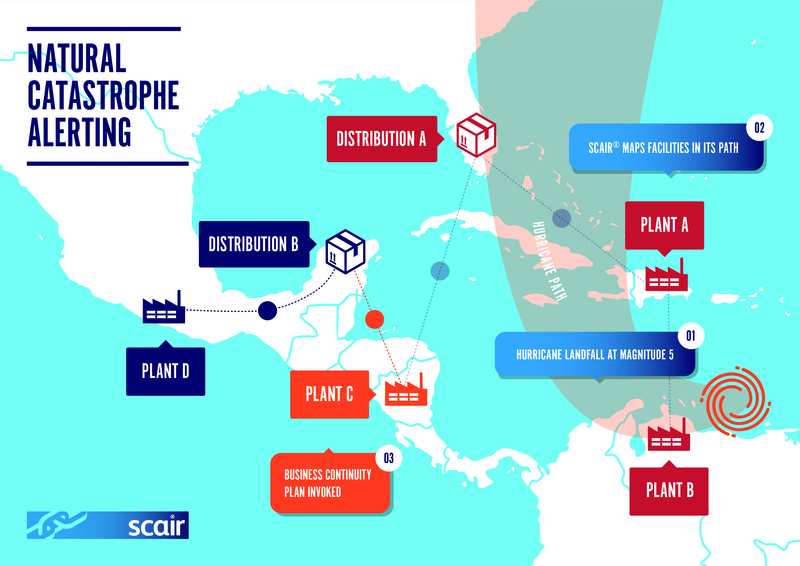 SCAIR is an award-winning, sophisticated supply chain mapping tool that helps manufacturing companies visualise their global, end-to-end supply chains. Its unique flow-chart driven structure allows you to map supply chains, quantify business interruption losses and stress test different supply chain contingency scenarios. 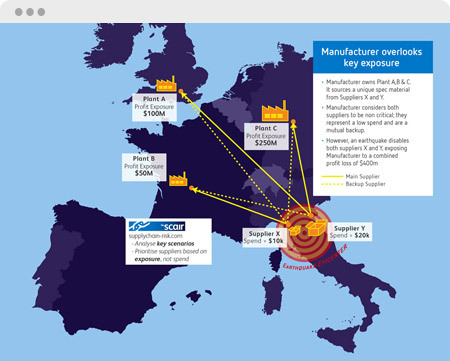 improve supply chain decision making, by focussing on the value at risk and prioritising your supply chain efforts. 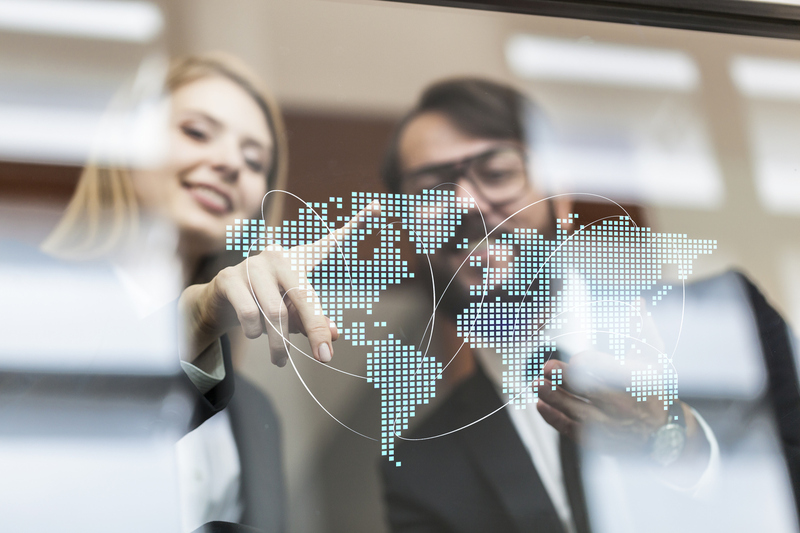 It’s crucial to ensure the security of your supply chain in today’s increasingly dynamic and global business environment. 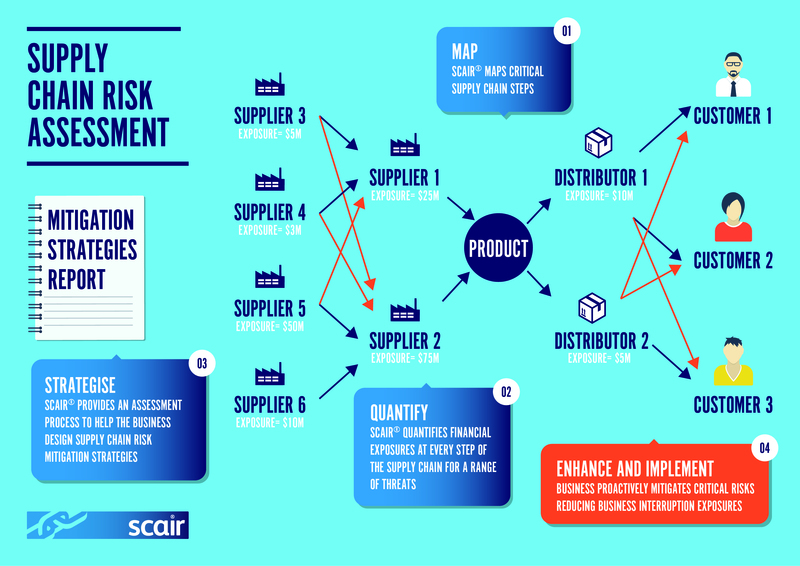 SCAIR® enables risk and supply chain managers to estimate the impact on profits by drawing on existing business data should a critical supply point be lost. Map out critical supply points and their relationships. Produce loss estimates for failures in supply chains that could result in supply interruption. Generate internal site and supplier risk profiles across a business’s in supply portfolio. Estimate the impact of different threat scenarios (physical, commercial, natural disaster). Geographically map critical supply points. 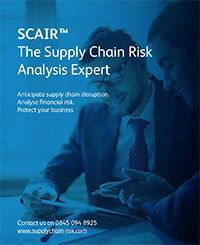 SCAIR® was the first supply chain risk quantification software to go to market in the UK. 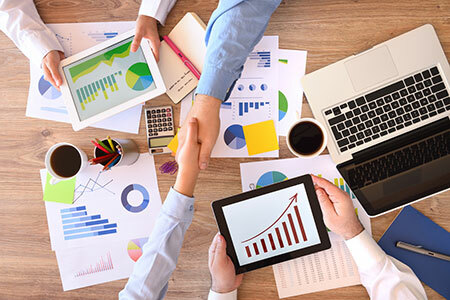 It was developed by Intersys Ltd through a collaboration of pharmaceutical risk managers and has been helping protect global supply chains since 2006. Since then it has won a Business Insurance Innovation Award and its parent platform – Intersys – holds UKAS accredited ISO27001 certification. Here’s why it has been a trusted partner to global enterprises and world leading life science organisations. Support you in the optimum setup and structuring of the tool.